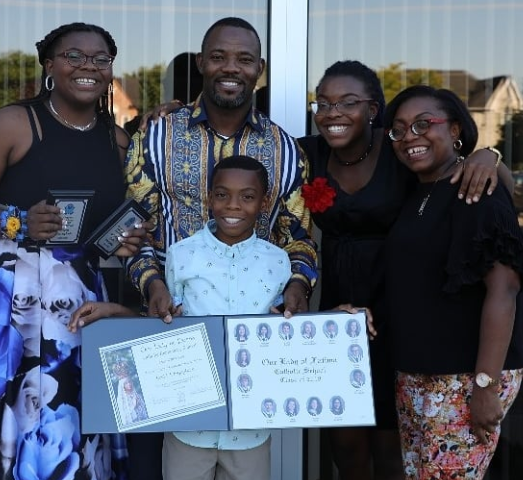 Nigerian comedian, actor and TV host Okey Bakassi and his wife are celebrating their 17th wedding anniversary on September 1st. “The Other Side of The News” anchor took to his Instagram page to celebrate the years he has spent with his wife. He wrote, “He that finds a good wife…that’s a friend, finds a good thing and receives favour…double portion. My darling Zizi, from the day we 1st met in my 2nd year in the University, my heart knew you were the Special One. “Today, we’ve been friends for 30yrs and married for 17yrs…I guess they now know why our friendship is Unique. Thanks for letting me hold your hands on this journey of love that has taken us through different emotional bus stops. It has not been perfect but we’re perfectly fine in God’s love. We wish him and his wife many more happy years ahead.